Action Packed was a trading card company that pinned its hopes on four new sets of hockey collectibles scheduled to launch during the 1994-95 season. Unfortunately for the company, none of its odd memorabilia items saw the light of day, mainly due to the 1994 NHL Lockout. 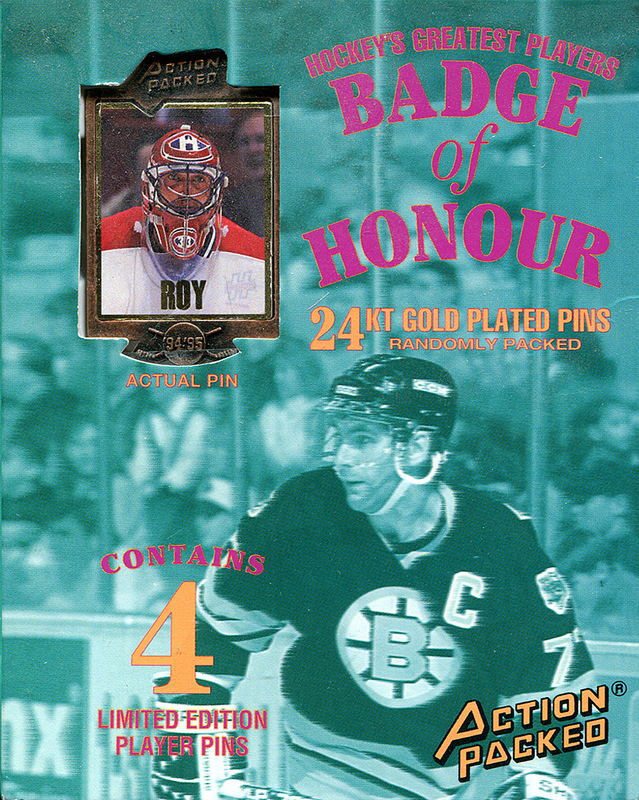 One of these ill-fated Action Packed items was a set of hockey lapel pins called Badge of Honour. Mark Messier will protect your surface from spills. 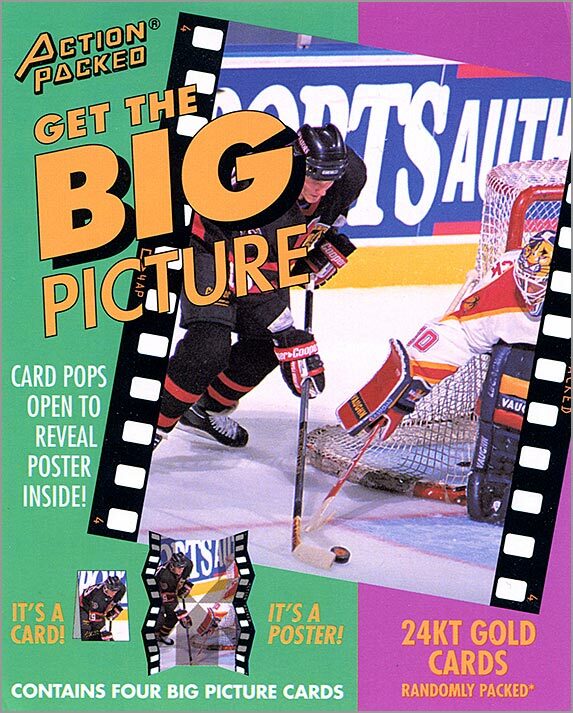 Trading card company Action Packed really wanted to make hockey cards in the mid-1990s, but they couldn’t get the license to do so from the NHL. 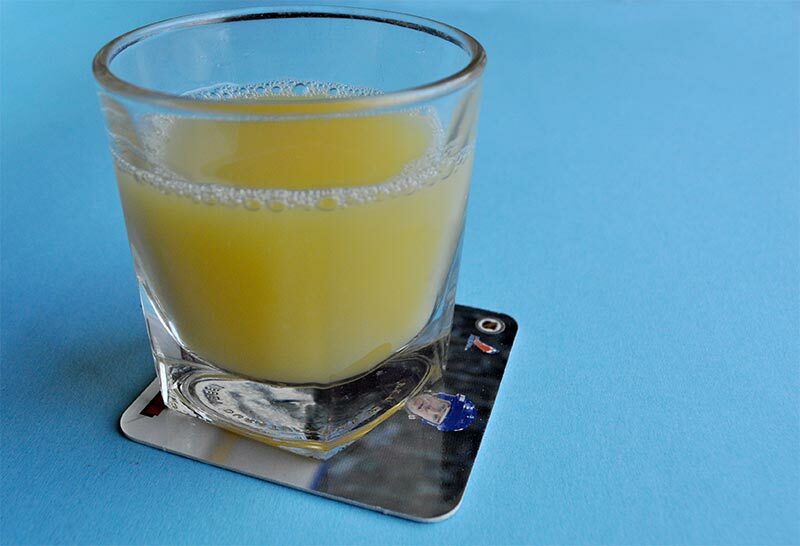 At the time, the league was limiting how many companies were making NHL trading cards, so Action Packed did the next-best thing and attempted to launch four different lines of hockey collectibles — including a set of drink coasters called CoaStars.